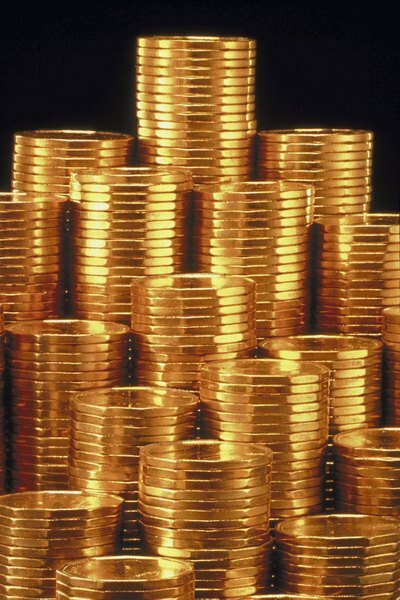 How you report the sale of your gold coins for taxes depends on many factors. 2. Are Capital Gains on American Eagle Coins Taxable? 3. Can You Buy and Sell Gold Tax-Free? There is no one standard way of reporting the sale of gold coins on your tax return. How you report the sale and any possible tax owed depends on your specific circumstances. The tax rules are different for people who regularly sell gold coins with the intent of earning profits, for those who collect coins as a hobby and for taxpayers who hold onto their gold coins as an investment. When it comes to the sale of gold coins, the IRS has different reporting rules based on the circumstances of the seller. If the gold coins are held as an investment, meaning you don't regularly deal in them and held onto them for potential appreciation in value, they're considered a capital asset. Whenever you sell a capital asset, the resulting gain or loss must be reported on your return. This will first require you to determine your basis in the gold coins. The tax basis is generally the price you paid for the coins, but you can increase it for any sales tax and shipping costs you incurred as well. Note, however, that if you received the coins as a gift or from an inheritance, the way you calculate basis becomes a little more complex and depends on your particular circumstances. Once you figure out the tax basis, you simply subtract it from the sales price to arrive at your gain or loss from the sale of gold coins. Two forms, Schedule D on the 1040 form and Form 8949, are used to report the gold coin transaction and must accompany your tax return. On Form 8949, you'll enter specific details about the coins, such as the date you originally purchased and sold them, the price you obtained in the sale, your basis and the resulting gain or loss. You will then transfer the relevant information to a Schedule D, including any other capital asset transactions you engaged in during the tax year. However, you'll also need to determine whether the gain or loss is short or long term. Correctly classifying the holding period for your coins as short or long term is essential since it directly affects the amount of tax you may have to pay on a gain. If you owned the gold coins for one year or less, you'll report it on Schedule D as a short term gain, with any holding period in excess of one year reported as a long term gain. The rate of tax on net long term capital gains can change from one year to the next, but as of this writing, most taxpayers pay a 15 or 20 percent capital gains tax on gold coins or any other asset. Net short term gains are always taxed at ordinary income rates like most of your other income. Losses, however, can offset other capital gains, with any excess being deductible up to $3,000 per year, or $1,500 if you're married and filing separately. If coin collecting is one of your hobbies, meaning you acquire the gold coins for leisure rather than investment purposes, or if the sale is an ordinary transaction in your business, all profits are taxed as ordinary income – not capital gains. Hobby income is reported on the “other income” line of your 1040, whereas reporting business income depends on the type of entity you use, if any, and the tax form required for it. What Is the Taxation of Physical Gold When It Sells? What Is Better Gold Mutual Fund or Gold Itself?